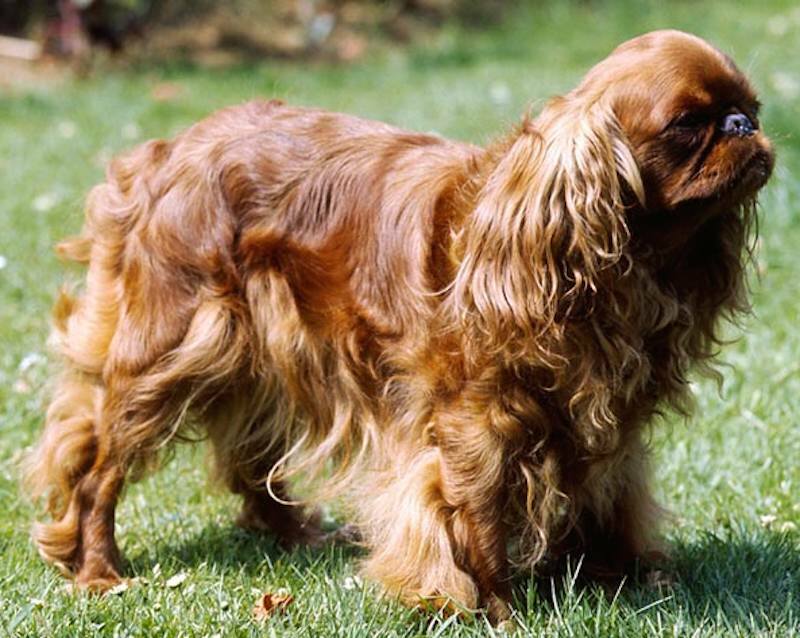 English Toy Spaniel dog breed originated in Japan, was taken to Spain and then to England. The breed caught the fancy of nobility there. Mary, Queen of Scots, kept a number of them and one hid beneath her skirts at the time of her execution. King Charles II was the most famous patron of the breed and it reached the peak of its popularity during his reign (1660-1685). 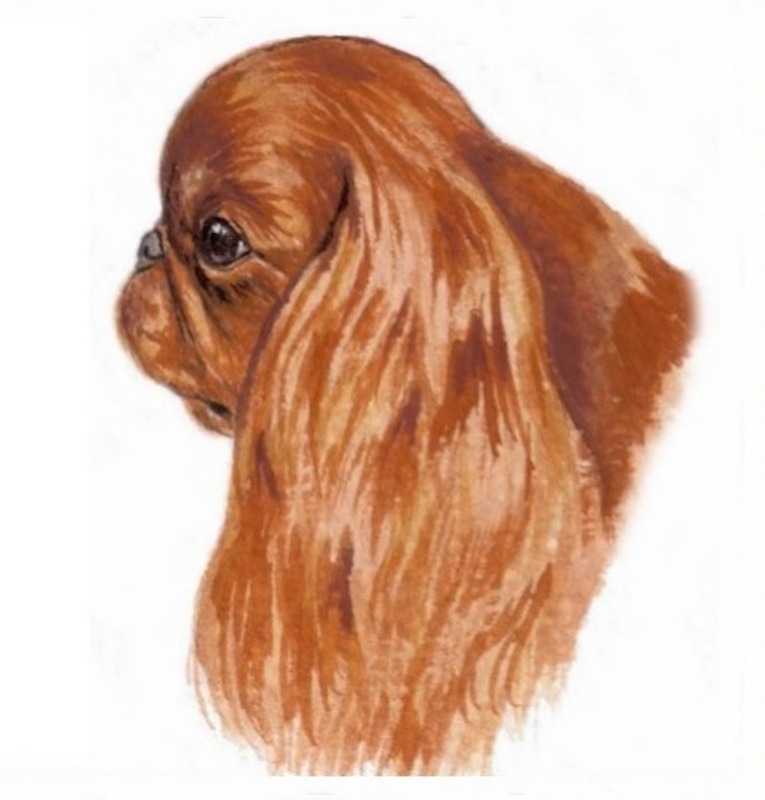 After that, oriental breeds became popular fashion accessories and dog breeders crossed the small spaniels with Pugs, Pekingese and Japanese Spaniels. The result was a smaller dog with a round skull, short muzzle and upturned nose. 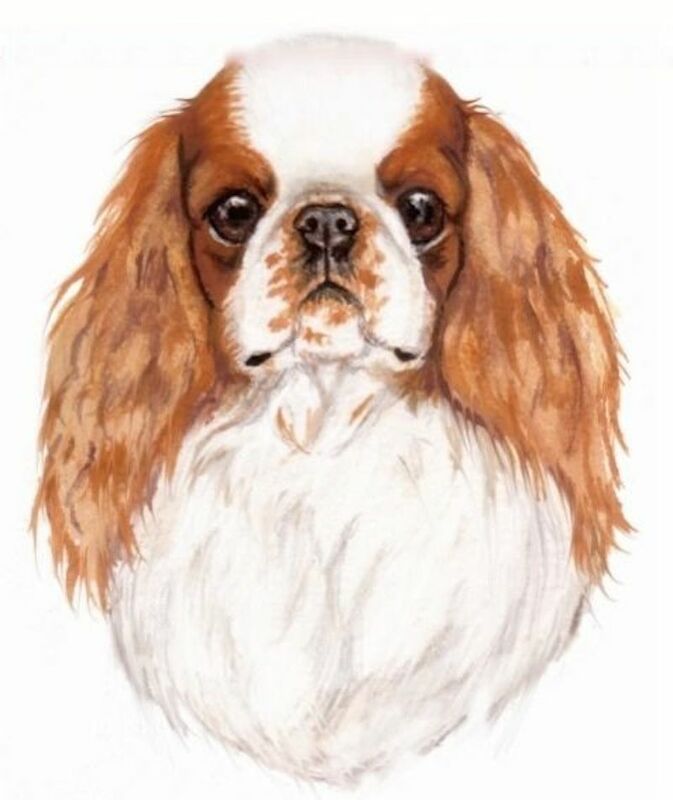 In Britain, the breed is still known as the King Charles Spaniel. 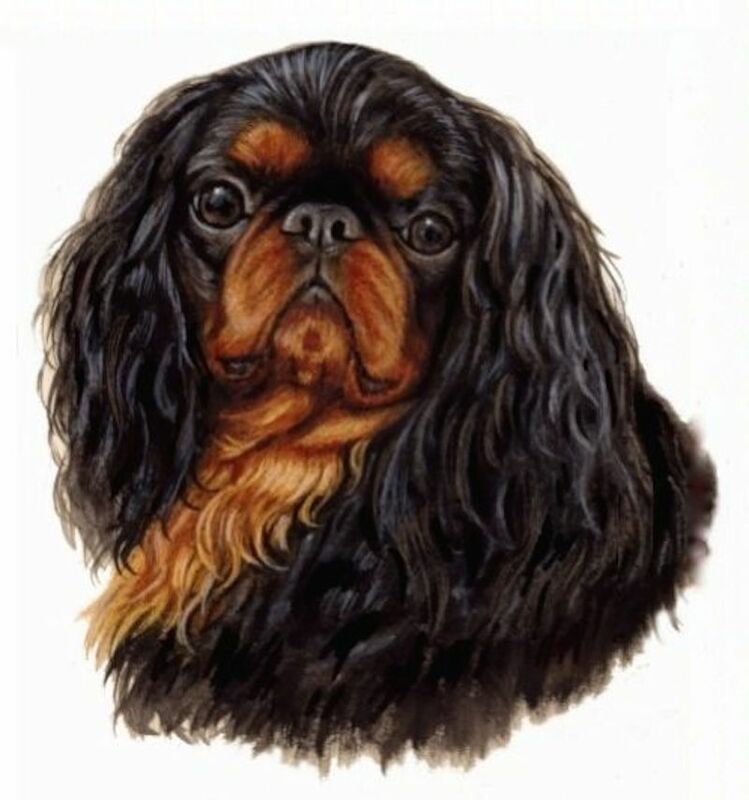 The English Toy Spaniel we know today is a charming and loving companion dog. General Appearance: Refined, compact and cobby, with distinctive domed head. Coat: Long, silky and straight, slight wave allowed, never curly. Legs, ears and tail profusely feathered. Blenheim: ground pearly white, with well distributed chestnut-red patches. Wide clear blaze with the “spot” in the centre of the skull, should be a clear chestnut mark about the size of a penny. 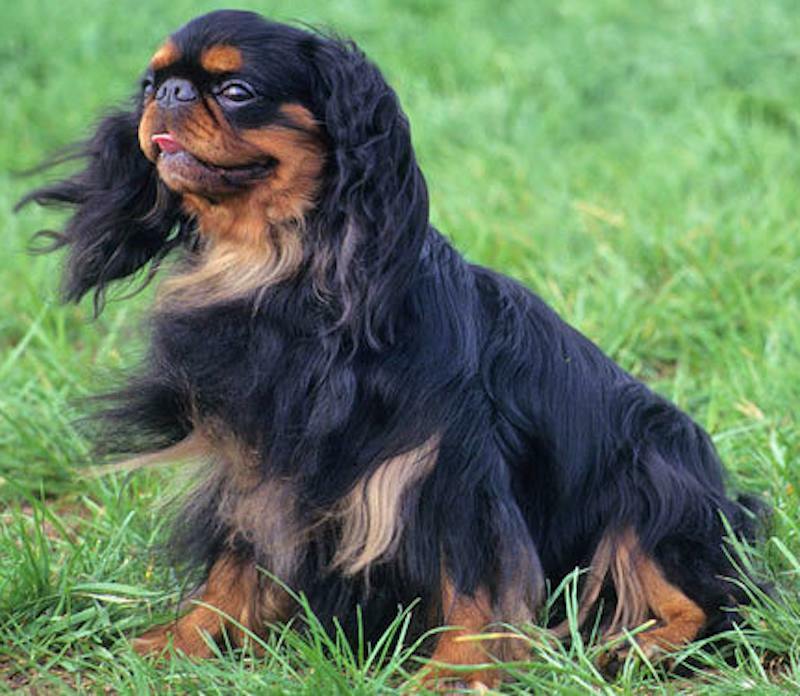 Black and Tan: rich glossy black, with bright mahogany-tan markings on muzzle, legs, chest, linings of ears, under tail and spots over the eyes. White patch on chest is undesirable. 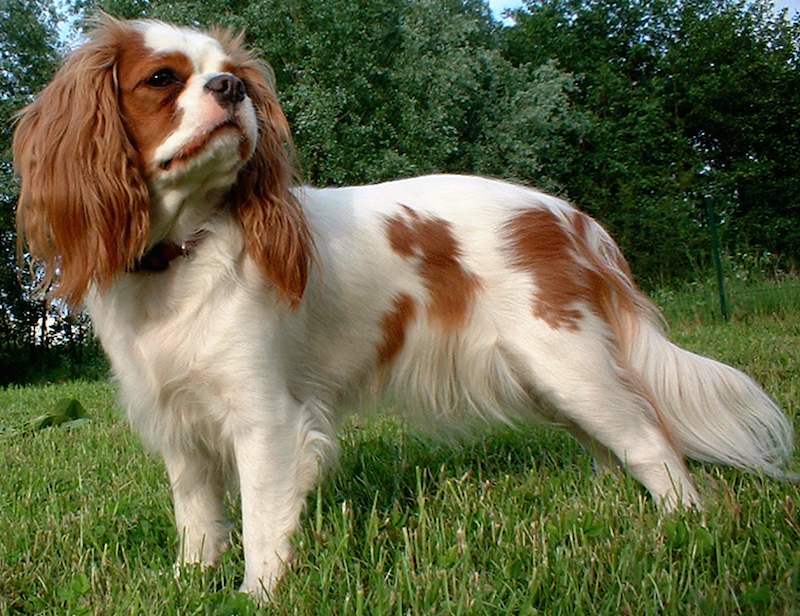 Tri Colour: ground pearly white, with well distributed black patches, brilliant tan markings on cheeks, linings of ears, under tail and spots over the eyes. Wide white blaze between eyes and up forehead. Ruby: whole coloured, rich chestnut red. White patch on chest is undesirable. Head: Head and Skull: Skull large in comparison to size, well domed, full over the eyes. Nose black with wide-open nostrils, very short and turned up to meet skull. Stop between skull and nose well defined. Muzzle square, wide and deep, well turned up, lower jaw wide, lips exactly meeting, giving nice finish. Cheeks not falling away under eyes, but well cushioned. Eyes: Very large and dark, set wide apart, eyelids block square to face line, pleasing expression. Ears: Set on low, hanging quite flat to the cheeks, very long and well feathered. Mouth: Bite should be slightly undershot. A protruding tongue is highly undesirable. Neck: Of medium length, arched, giving proud carriage of head. Forequarters Legs short, straight. Shoulders well laid back, elbows close to rib cage, turning neither in nor out. Body: Chest wide and deep, back short and level. Hindquarters Sufficient muscle to give positive driving movement, stifles well bent, hocks well let down and defined. Straight when viewed from behind, turning neither in nor out. Feet: Compact, well padded and feathered, toes well knuckled, round cat-shaped foot, well cushioned, pasterns firm. Occasionally central pads and nails fused together. Tail: Docking optional. Docked : Well feathered, not carried over or above level of back. Undocked: Well feathered, not carried over or above level of back. In overall balance with the rest of the dog. Gait: Free, active and elegant, driving from behind. Sound movement is highly desirable. Fault: Any departure from the foregoing points should be considered a fault and the seriousness with which the fault should be regarded should be in exact proportion to its degree and its effect upon the health and welfare of the dog. 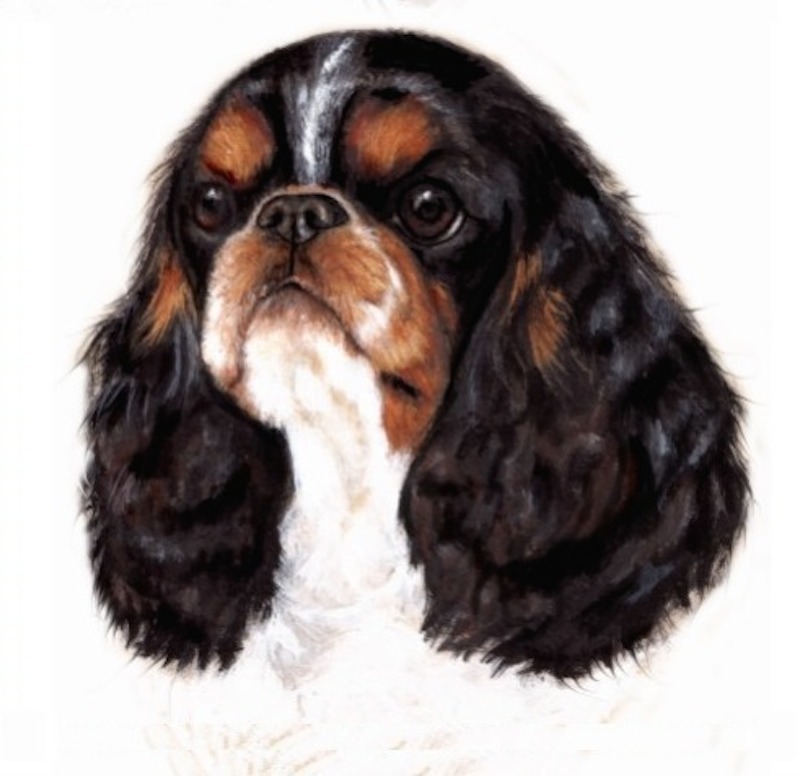 English Toy Spaniel vs Cavalier King Charles Spaniel comparison: Compared to the Cavalier King Charles Spaniel, the English Toy Spaniel (King Charles Spaniel) breed of the present day is materially altered for the worse. The muzzle is short, the forehead prominent, the eye is increased to double its former size and has an expression of stupidity with which the character of the dog too accurately responds! However, there is the long ear, and the silky coat, and the beautiful colour of the hair.